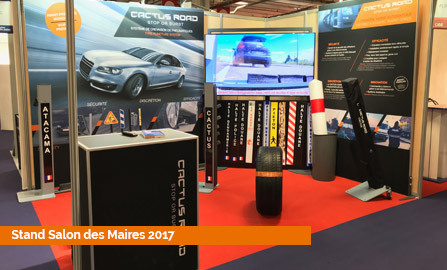 Created in the spring of 2015 in St Pierre de Chandieu (69), France, CACTUS ROAD Inc. develops, produces and offers a range of innovating traffic spikes. The CACTUS and ATACAMA traffic spikes (and their fix versions) were launched after 2 years of research, hard work and testing. A completely French innovation dedicated to safety ! 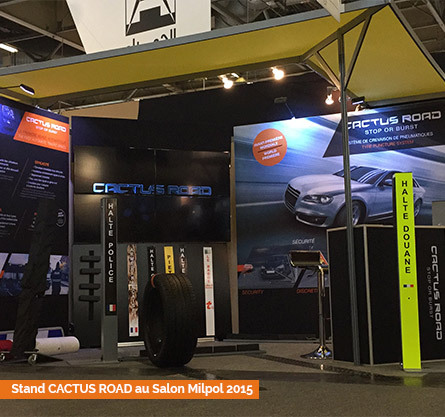 CACTUS ROAD was present at the MILIPOL Paris show in November 2015. This show is the world’s biggest meeting dedicated to internal state security. The feedbacks received were very good and extremely encouraging for this young lyonnaise company with international ambitions ! Contact us to learn more about the company and our products !